Be Happy! Love a Goat! The past week or so of unseasonably warm weather beckons me outdoors… to a multitude of gardening tasks. Primarily: clean-up, raking, weeding, turning compost, transplanting/pruning, and on and on! I’m exhausted just thinking about it – and the old bones are feeling it! That leaves little time for creating (and I desperately need to create!). Well, besides creating gardening plans, that is! I try to keep a level head, focused, prioritizing a To-Do list and most importantly, taking little bites! After all, it’s the tortoise that won the race! For me, it’s a matter of perspective… knowing that there will ALWAYS be something to-do on a list somewhere!! 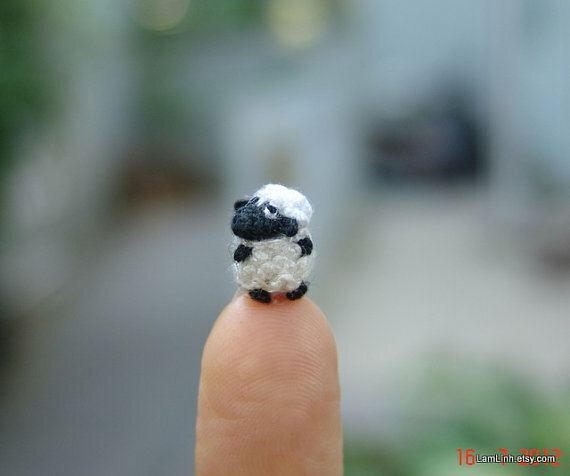 In the meantime, I managed to make a little Frenchy dairy goat – in all fairness – long overdue, considering all the sheepies that are foremost on my mind! She stands proudly looking about curiously, as most goats do! 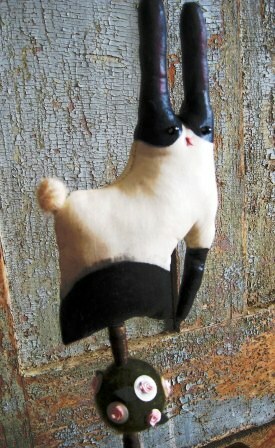 You could make your very own dairy goat ‘topiary’ too! How-To: First, draw a dairy goat (had to be recently freshened, that is, have an udder – heehee) on a piece of muslin – remember, front & back! If you’re not great at ‘drawing’, there’s many goat diagrams available in goat books, etc that you could use for a pattern/trace. Next, I sewed the two pieces together and stuffed it (leave an inch or so opening to ‘stuff’) with fiberfil (and some dried fragrant herbs?). 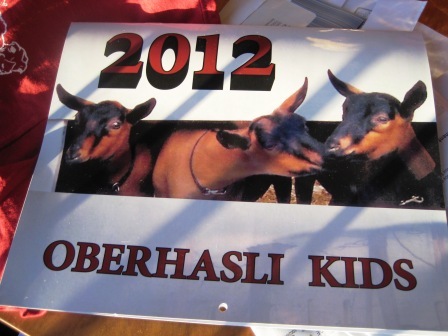 I then painted my goat with acrylic paint – here’s where you can get creative… because there are many colors/patterns of dairy goats… or, paint it to resemble your own goat! I applied a fine coat of mod podge & tinted wax, and used a wooden dowel for a base (but you could use a natural tree branch too). 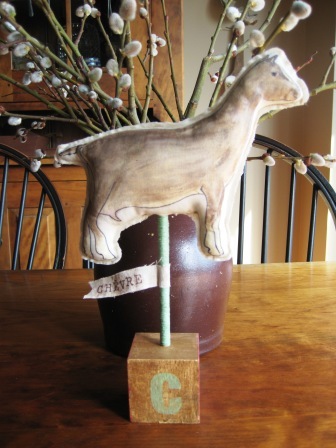 I wrapped my dowel in a spring green butcher’s twine, but you could paint it, leave it natural, or wrap in ribbon, yarn, etc. For the base, I recycled a vintage child’s alphabet block by drilling a hole in the top to accept the dowel. 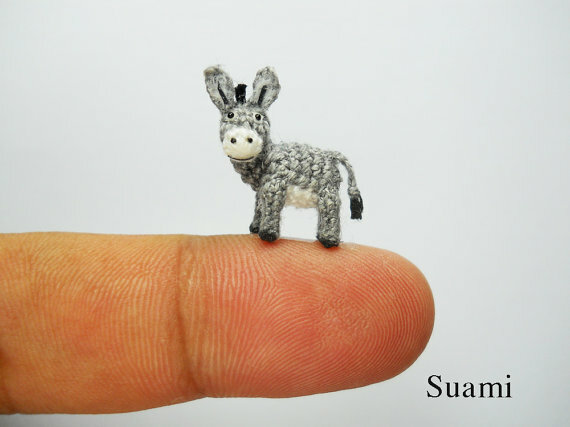 Any ‘base’ would do – be creative! 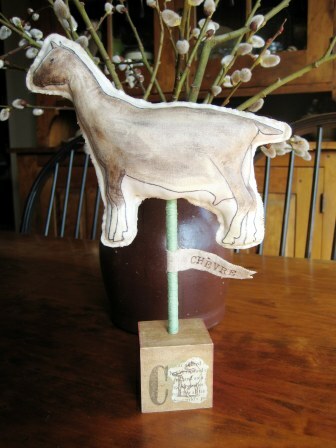 I stamped the letter ‘C’ for chevre (goat in French) and a paper image of a goat onto the block. Last, I added a fabric scrap ‘banner’ with ‘chevre’ stamped onto it. I also made a spring-tyme bunny. I added a wooly tail, seed beads for eyes, embroidery floss nose/mouth and needle-felted the topiary wooly green ball around the dowel. (The dowel is wrapped with ribbon.) I stitched on a few randomly placed vintage mother-of-pearl buttons and glued a pink ribbon rose atop each button. Well… got to go… daylight’s burning… and the great outdoors is calling! Lots of catching-up going on today, here on the farm! Just wanted to share a quick post…you know I rarely leave home! I spent a great day Thursday at the ADGA Convention hosted by the Michigan Dairy Goat Society right here in Grand Rapids, MI (a week-long event). In spite of all the blustery wind and rain, juggling chores and schedules (add missing Katie’s induction into the National Honor Society), I was fortunate to attend! Who knows when I’d have another opportunity to participate? Info overload! 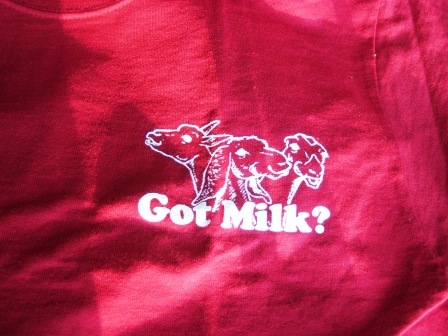 Perfect to wear to ALL your dairy goat events! 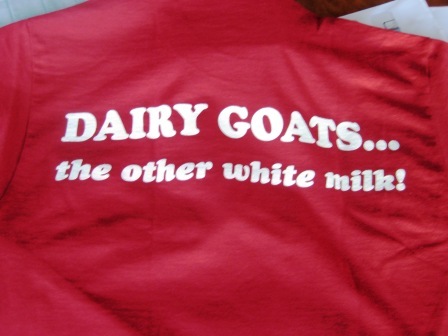 If you can’t make it to the final days of the ADGA convention, you can find the T-Shirts and more goat-y items on-line at Rachelsie Farm Dairy Goats.